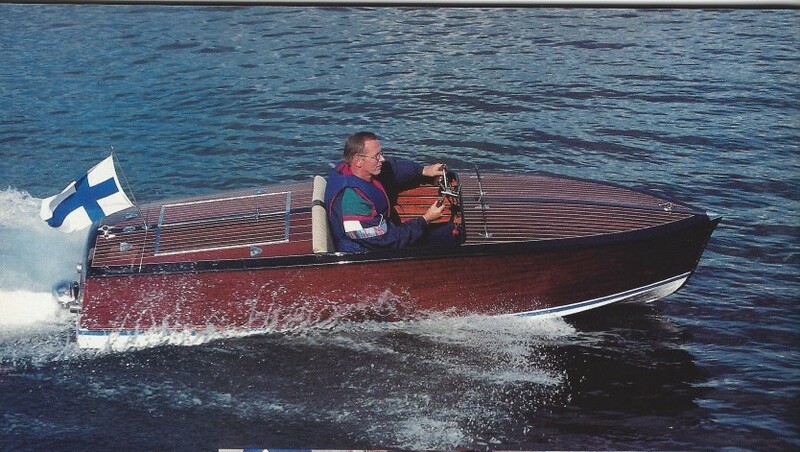 Unique one-off mahogany motor boat, hand built in the late 1990’s around a Kawasaki Jet Ski water jet engine. 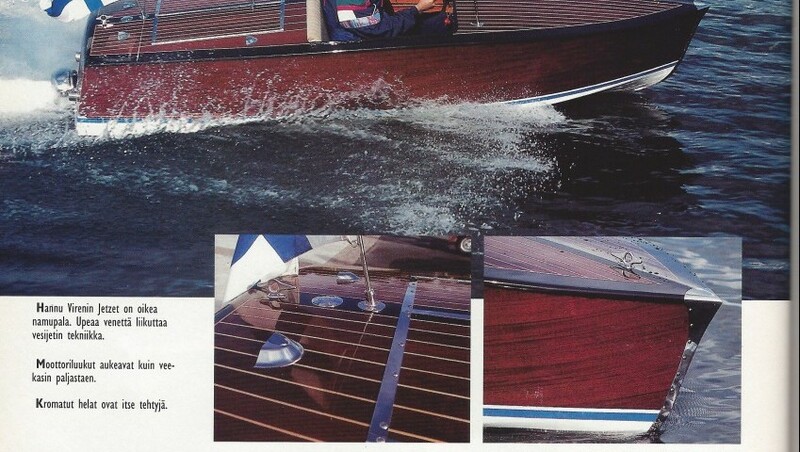 Beautiful hand crafted interior and exterior fittings. 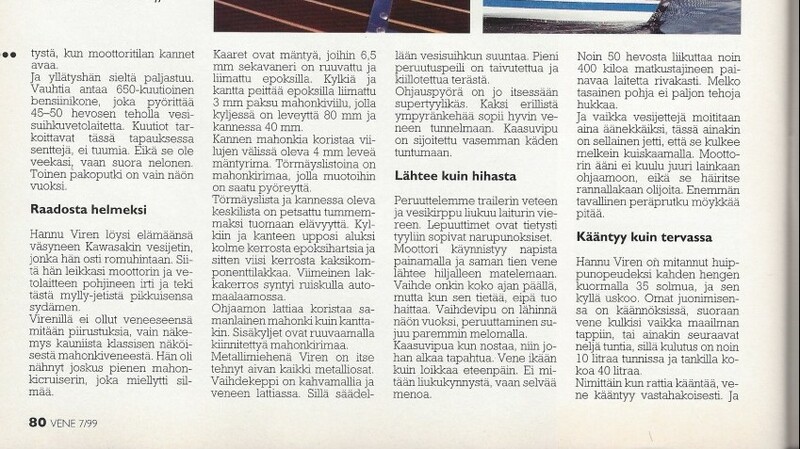 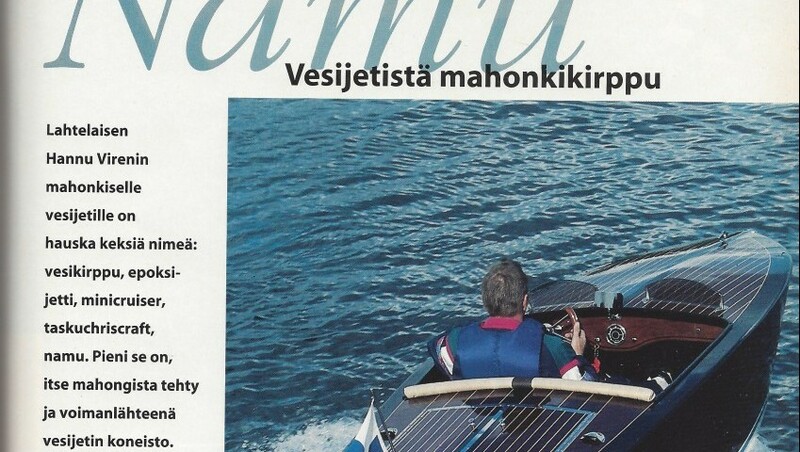 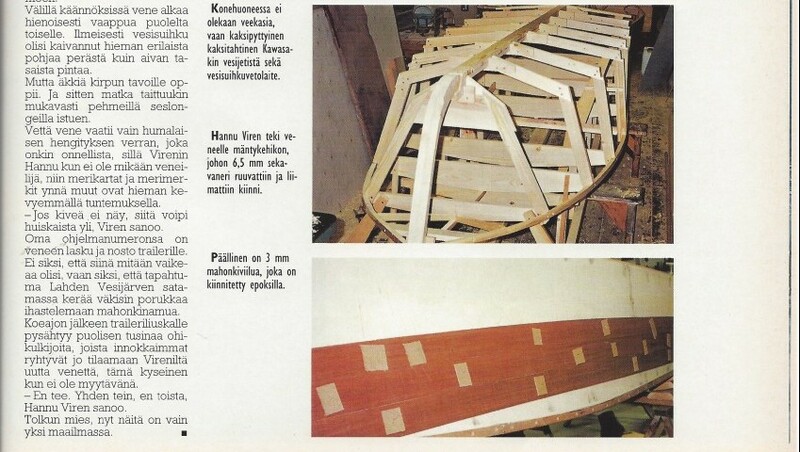 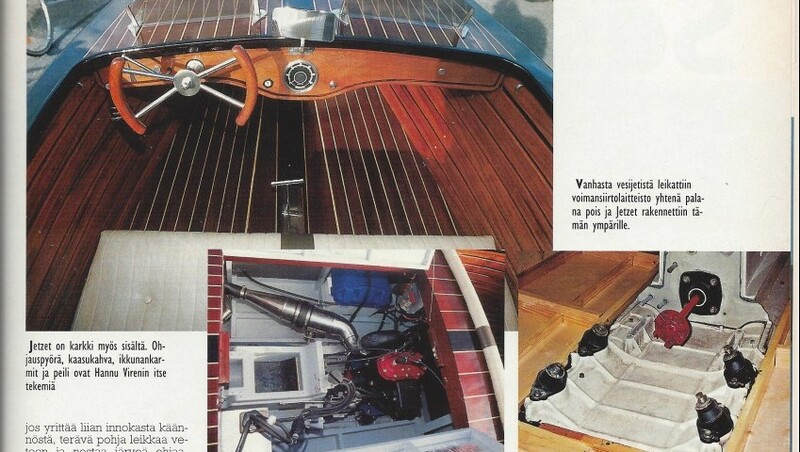 Featured and tested in the leading Finnish boat magazine Vene in 1999. 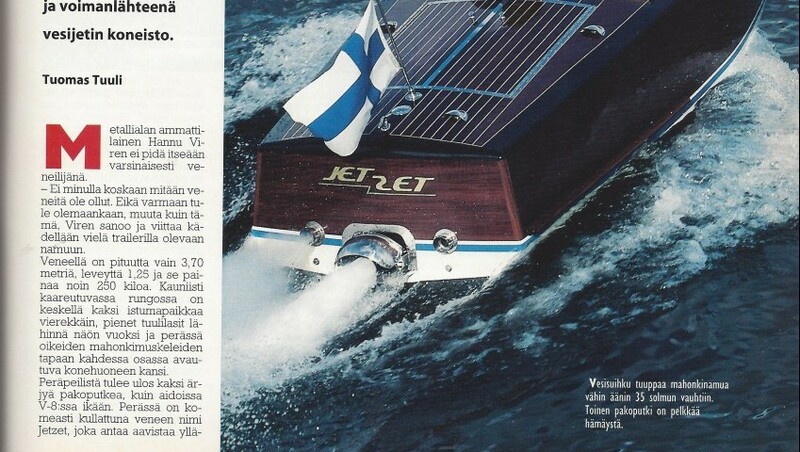 Comes with trailer and mooring cover.